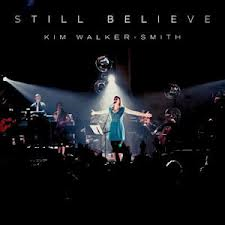 In January 2013, Jesus Culture’s Kim Walker-Smith released her newest solo worship album called Still Believe. When I first listened to it, it didn’t stand out too much. Yet, for some reason I could not stop listening to it. I worshiped with it over and over and over again. For about a month, I listened to the songs on Youtube. I fell in love with the powerful worship in every song, so I actually purchased it and downloaded it to my phone. For the past couple of months, it’s all I listen to. In fact, I listen to it so much now that as soon as the songs come on, Emma (our 2 1/2 year old) lifts her hands in the air and says “I worship you Jesus” as she continues to sing along with the lyrics. It’s beautiful! My i-phone is constantly playing this on i-tunes. I love it! So if you are looking for something fresh and new to worship our incredible Lord and Savior to then this is it. Listen for free on Youtube or go ahead and purchase the entire album. Question: If you have come across some new worship music then please share! What’s on your current worship playlist right now? My girlfriend from college just posted on Instagram how amazing this cd is! And now you are talking about it- I’m getting this! God must be speaking to me through my beautiful friends! Thanks for sharing!! Hi…about 6 weeks ago I used to listen to a Kim-walker smith cd on Utube almost daily. It was at least an hour of her singing worship songs and was called Worship. it had a green and white cover. One day I went to play it and there was a note saying it was no longer available. Would you know where I might find it? Isn’t Kim Walker just wonderful?! I’m so sorry but I don’t know about that CD. I’ll keep my eyes open and let you know if I find anything! Blessings to you! !